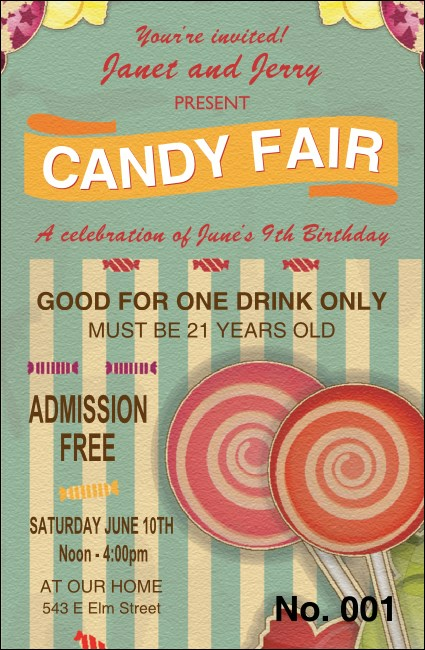 Accessorize your event collateral with the sugary Retro Candy Drink Ticket. This sweet vintage design has orange and pink lollipops, pink highlights, a yellow banner, and blue stripes. Each ticket is individually numbered. List your event and drink details on the easy template below.